Few would dispute the fact that discrimination based on race, ethnicity, sexual orientation and other characteristics continues to be a problem in U.S., or that such injustices have contributed to everything from economic inequalities to inequities in some physical health outcomes. But to what extent does being a target of discrimination — overt or subtle — affect one’s mental health? 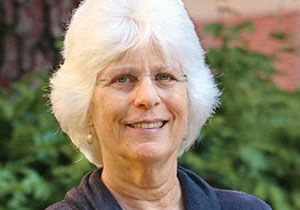 “We now have decades of research showing that when people are chronically treated differently, unfairly or badly, it can have effects ranging from low self-esteem to a higher risk for developing stress-related disorders such as anxiety and depression,” says Vickie Mays, UCLA Fielding School of Public Health professor in the department of health policy and management. Mays has done research in collaboration with Susan Cochran, a professor in the department of epidemiology at UCLA, that has helped document those links. 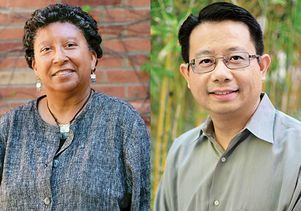 Gilbert Gee, professor in the Fielding school’s Department of Community Health Sciences, did a 2007 study to determine the extent to which Asian Americans who reported being the victims of discrimination were more vulnerable to developing clinically diagnosable mental disorders. “Much of the research has focused on symptoms of sadness and anxiety resulting from the mistreatment, and that’s very important, but we wanted to look at clinical outcomes,” Gee says. Even after taking into account other potential causes of stress, Gee found a clear relationship between discrimination and increased risk of mental disorders. Since that study, other researchers have reported similar results in African-American and Latino populations, as well as in other populations around the world, Gee says. He also found in a 2014 study of Latinas/os, that discrimination was significantly associated with increased risk of alcohol abuse among women and increased risk of drug abuse among men. In 2015, Gee and colleagues performed an analysis drawing from approximately 300 studies conducted around the world over the last three decades. This meta-analysis concluded that self-reported racial discrimination is consistently related to poor mental health. Discrimination is incredibly complex and experienced in so many different ways that it can be difficult to pinpoint the process by which it undermines mental health, researchers say. “There are so many different routes, some of them direct and some of them indirect,” Gee explains. He points out that while a hate crime occurring in a community is certain to affect the mental health status of the victim and the victim’s family, it can also have a spillover effect for acquaintances and non-acquintances in the community. Poor treatment based on race, ethnicity, sexual orientation and other factors can occur through interpersonal insults as well as through more insidious routes. “If you don’t get a job and you’re left to wonder whether it had to do with your race or gender, that can have an impact on your mental health,” Gee says. Emerging research using neuroimaging tools is helping to isolate the brain mechanisms at play in these scenarios. A study led by one of Gee’s postdoctoral fellows recorded South Asian women talking about their experiences of being treated poorly. The researchers then had the women listen to the recordings while their brains were scanned using functional magnetic resonance imaging. The parts of the brain that responded as the women listened were the same as those that regulate emotions and stress. More recently, Mays has collaborated on a study showing that experiencing significant amounts of discrimination over time can lead to changes in the way the brain processes information, disrupting, for example, the regions involved in planning and decision-making. “When we’ve had these experiences and anticipate that other incidents might lead us to be discriminated against, it can interfere with our ability to cognitively function at our best,” Mays says. In an address at the American Psychological Association’s annual meeting last year, Mays argued that, even as research continues to unravel the mental health effects of discrimination, more action should be taken to apply what is already known. Read the complete story in the latest issue of the UCLA Fielding School of Public Health Magazine.